Panic announced today that they will release the anticipated application coda 2 on 24th May 2012. Coda 2 features many new features and enhancements for web developers which make coding much enjoyable. For the list of all features you can check it here. 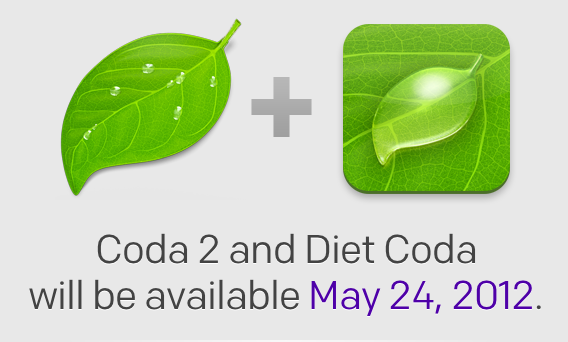 Coda 2 will be available on the mac app store for $99, however on 24th of may it will be available for $49 for the whole day 50% off as a special offer, then it will increase later on. In addition to coda 2 Panic announced Diet Coda for I-Pad which let you do the web fix on the go.